BATTLE CREEK, Mich., June 15, 2017 /PRNewswire/ -- Kellogg's® Froot Loops®, a brand known for its colorful adventures, is now encouraging fans to do what they love with its first new campaign in 50 years, "Whatever Froots Your Loops." To bring the new campaign to life, Froot Loops is teaming up with the creators behind three highly coveted brands to design gear and accessories that inspire adult fans to do what makes them most happy or "Whatever Froots their Loops." The Froot Loops collaborations with Neff Headwear, Timbuk2 and State Bicycle Co. will launch throughout the summer, beginning today with the debut of the Neff + Froot Loops Toucan SamTM Shades. 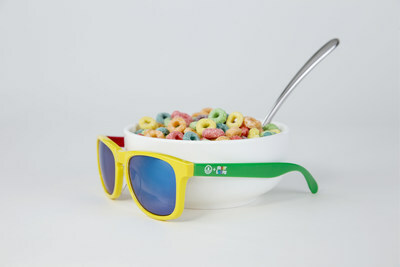 Designed by Shaun Neff, who created his Los Angeles-based streetwear brand to embrace fun and funky vibes, the Neff + Froot Loops Toucan Sam Shades "kit" features interchangeable faceplates and arms in four Froot Loops-inspired colors. Arriving in a custom storage case with a unique Toucan Sam cleaning cloth and 80 combinations to unlock, wearers can rock this key summer accessory in whatever way "Froots their Loops." "We knew we couldn't just pick one color to represent Froot Loops and Toucan Sam. From his head to his tail feathers, Toucan Sam has a crazy cool color palette – and the cereal has a unique burst of colors too," said Neff. 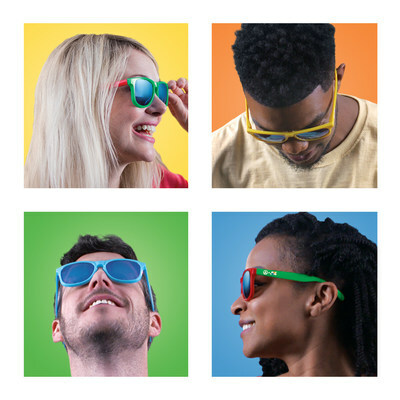 "With so many possible combinations, our Toucan Sam Shades let fans create their own look to show off Whatever Froots their Loops." 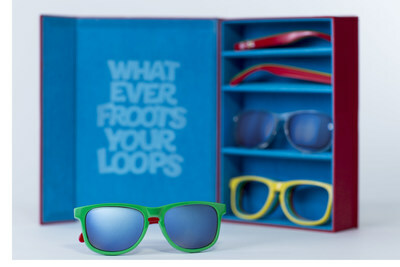 Retailing for $40, this limited-edition collection of only 400 pairs is available exclusively at neffheadwear.com/frootloops and at the Kellogg's NYC storefront in New York City. As a part of its new campaign, Froot Loops will also team up with the Timbuk2 brand and design team Alexis de Coninck and Michelle Nadeau, and State Bicycle Co. co-founders Mehdi Farsi, Reza Farsi and Eric Ferguson. Follow Froot Loops, Neff Headwear, State Bicycle Co. and Timbuk2 on Facebook, Twitter and Instagram for more information on collaborations throughout summer 2017.